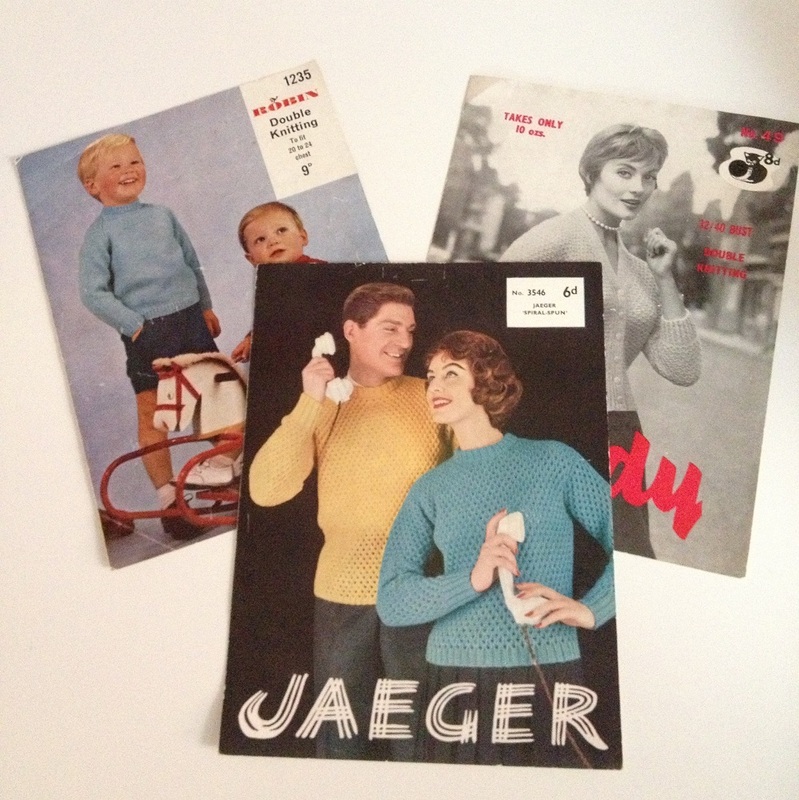 One of my favourite brands is Rosti, originally a Danish company. 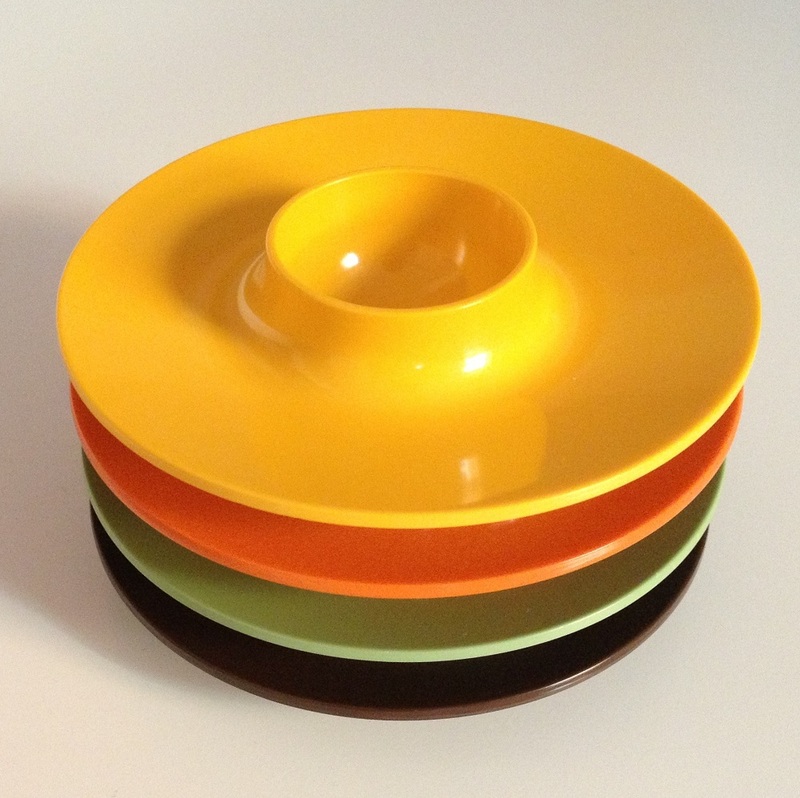 Although the company is still going it is the wonderfully bold coloured melamine items they made during the 1960s and 1970s that I love. 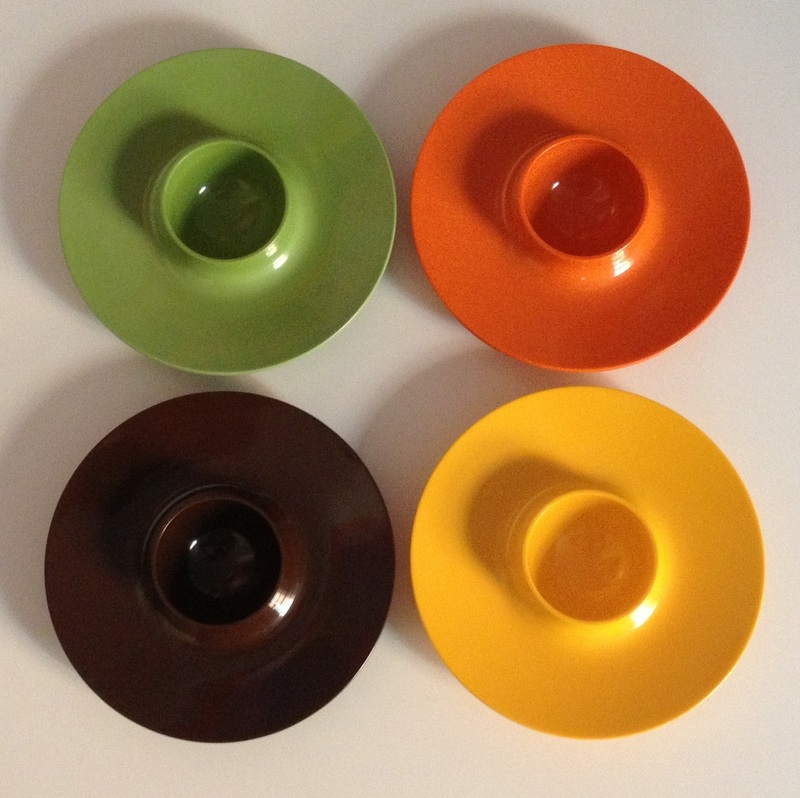 I have a large collection of their mixing bowls and utensils, but it is the egg cups I like the most. 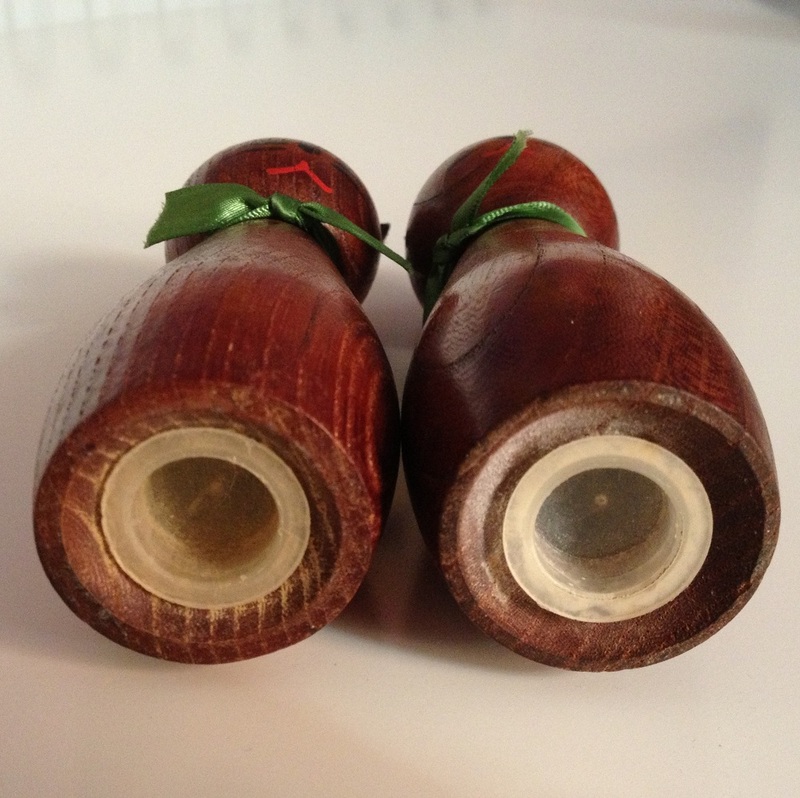 These egg cups were designed by Bjorn Christensen. 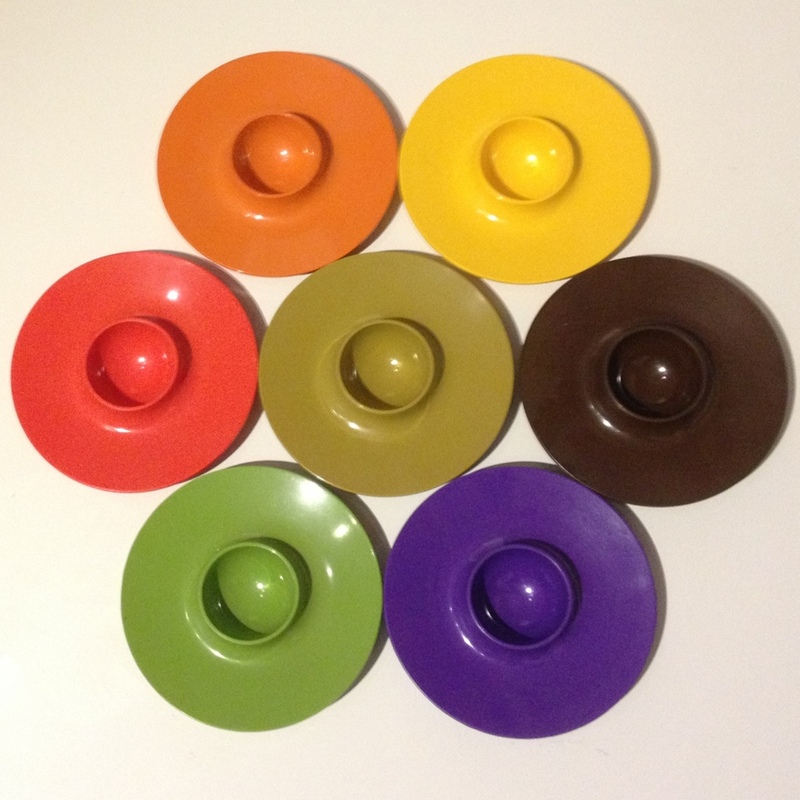 I am trying to build up a collection of all the colours, I still need to find some in blue and white. If you like these egg cups too there are four available from The Granny Square. The egg cups have space in the middle for your egg and a wide rim for your spoon or toast soldiers. The design means that they are easy to stack for storage or display. 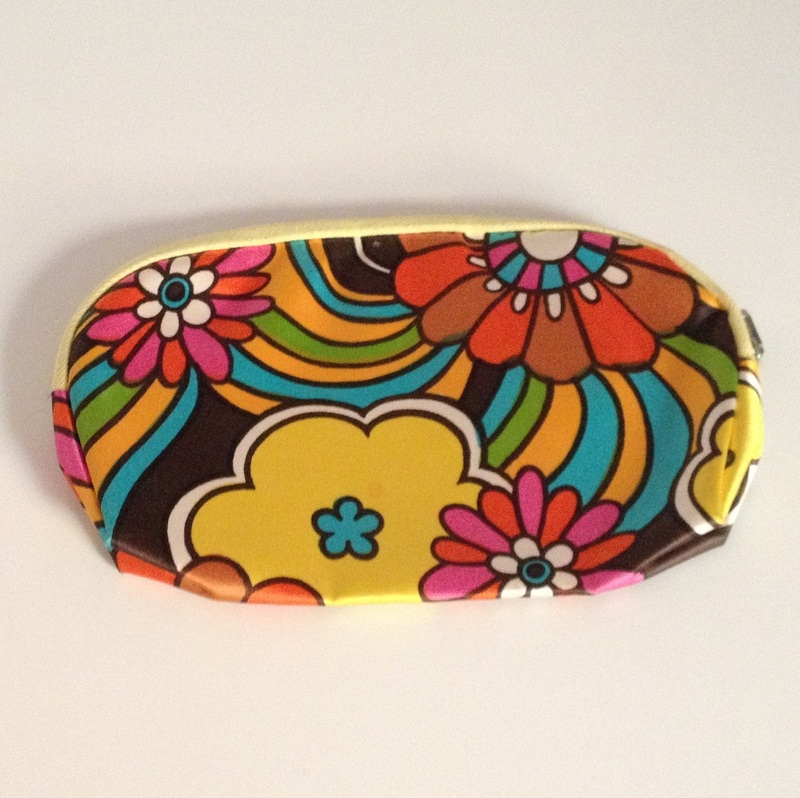 The pattern on this small purse or make-up bag is so psychedelic and the feel of the materials says to me that it must be from the early 1970s at the latest. 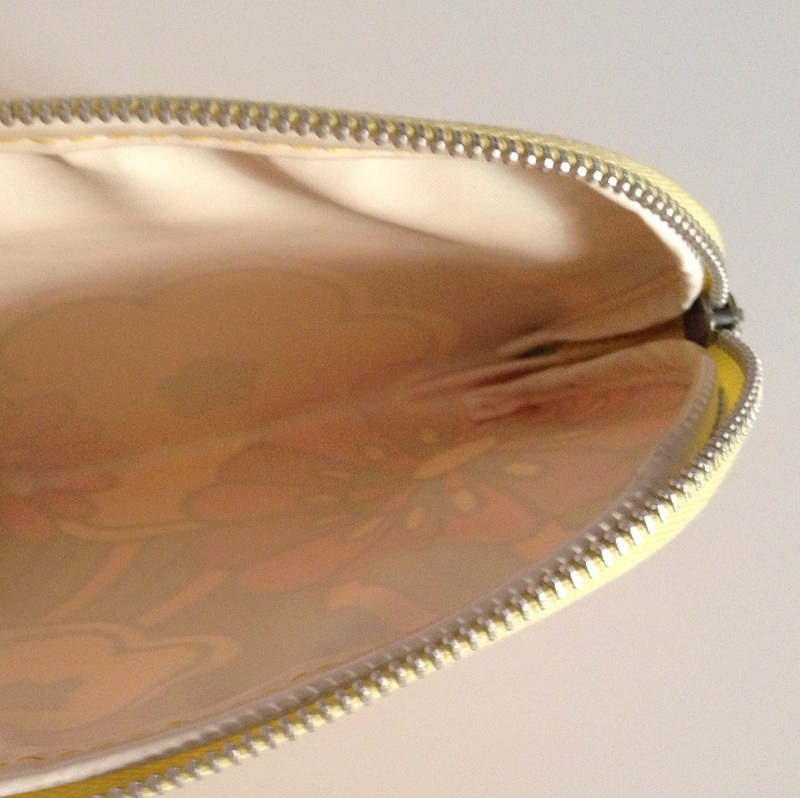 It would make a good sized purse or, as it has a plastic lining, a useful small make-up bag. You can purchase this item in my shop. 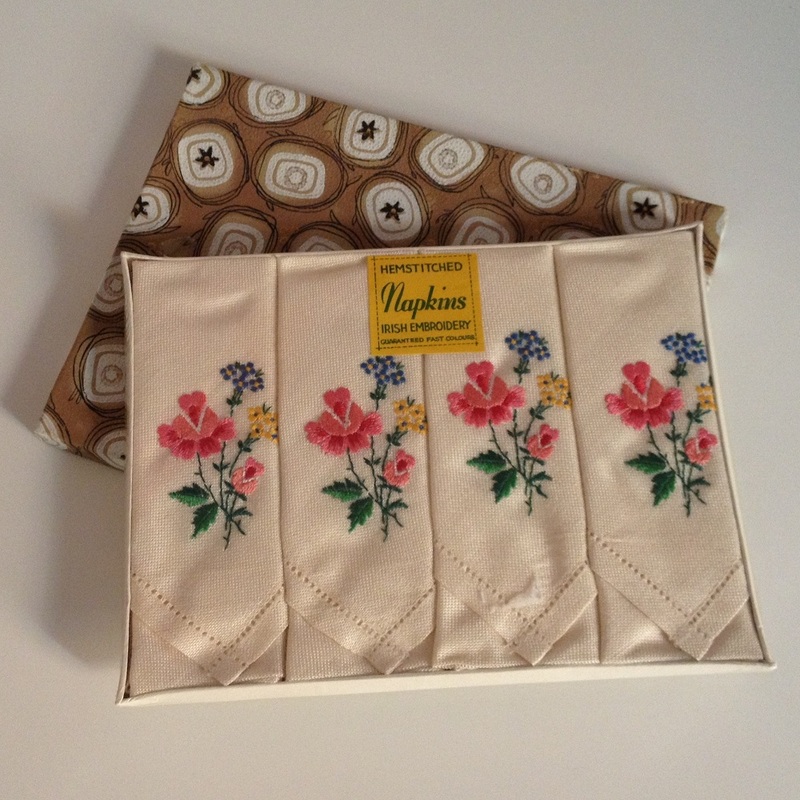 This set of four napkins is presented in a nice box and still has its cellophane wrapping. 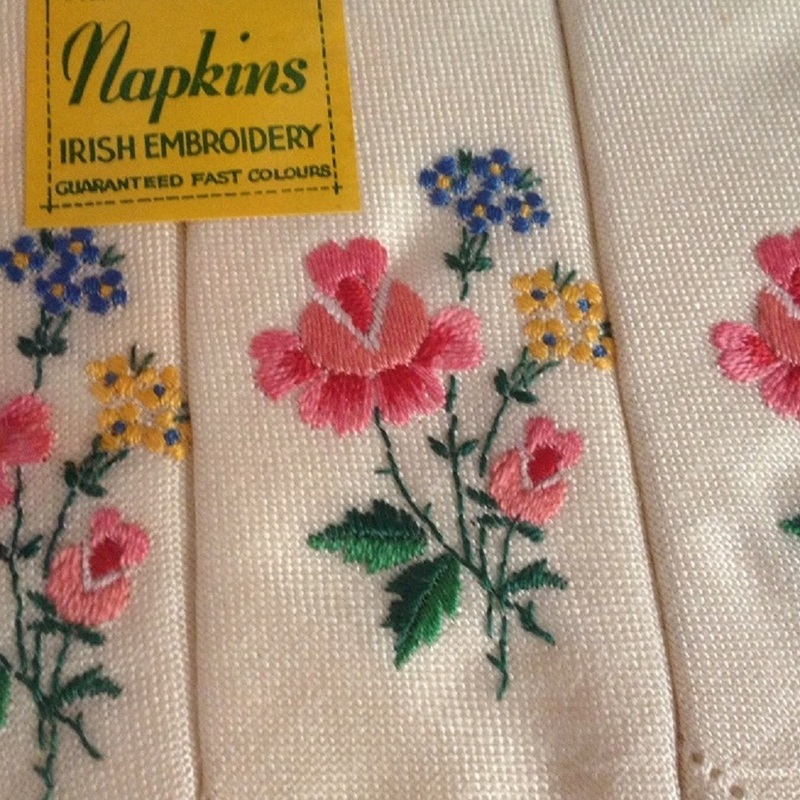 Each cream linen napkin features the same floral design embroidered in vibrant colours. You can purchase this set in my shop. 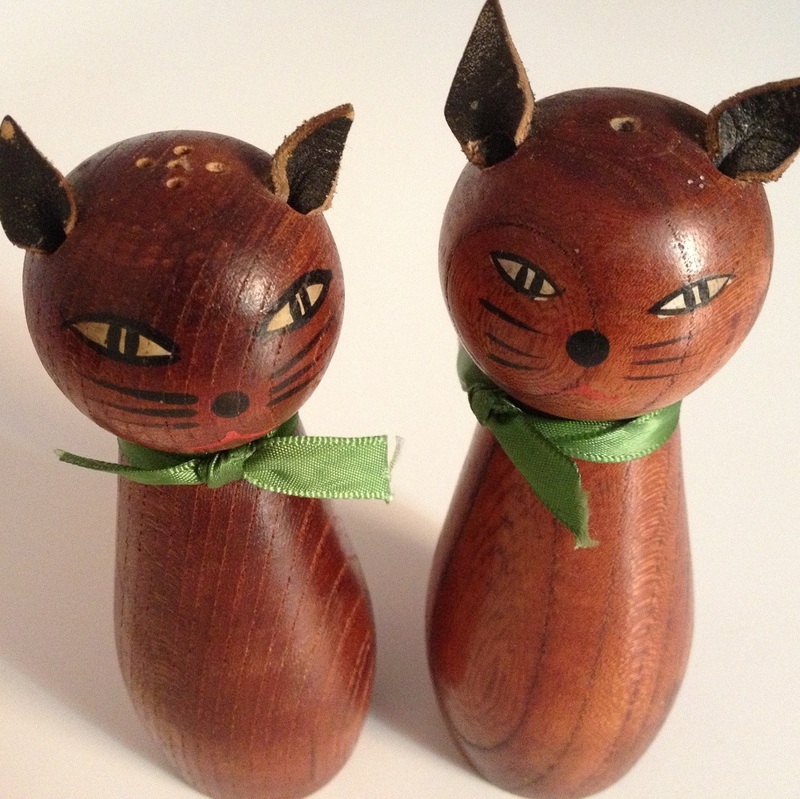 When I found this cat cruet I wasn’t sure if I liked them, but they have grown on me and I am now rather fond of them. Both shakers still have their original plastic stoppers in the base so they can be used as functional items as well as making great display pieces. The cats have leather ears, green ribbon bows around their necks, and nicely painted faces. 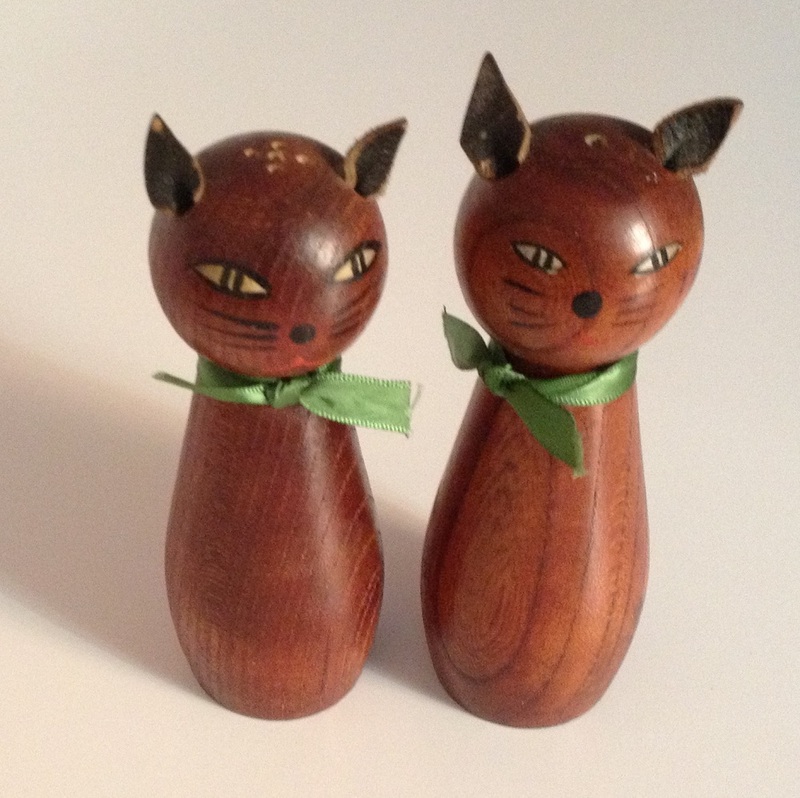 These cats are available to purchase in my shop.